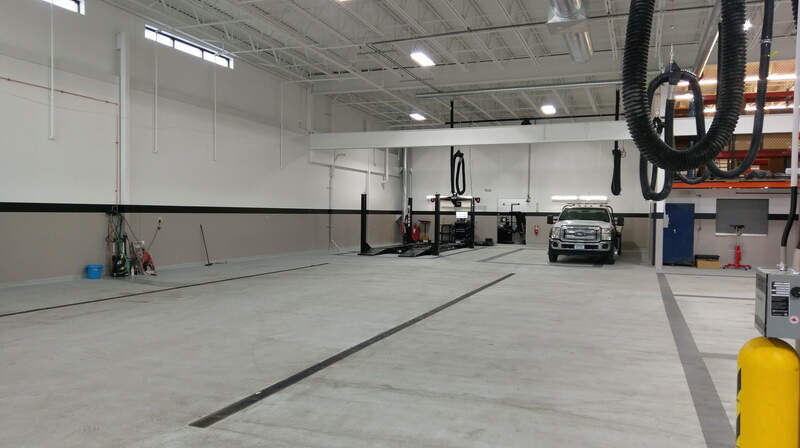 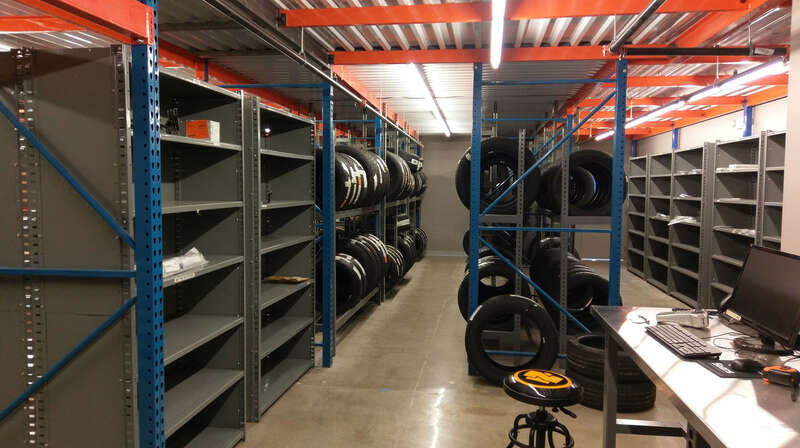 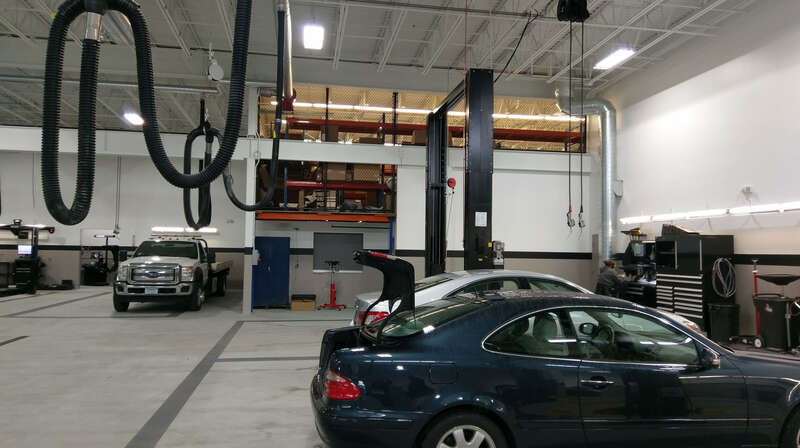 Mohagen Hansen Architecture | Interiors provided exterior and interior design services for Sears Imported Autos for their new Mercedes-Benz Metris Service Center, converting the existing detailing shop into a high-bay service area. 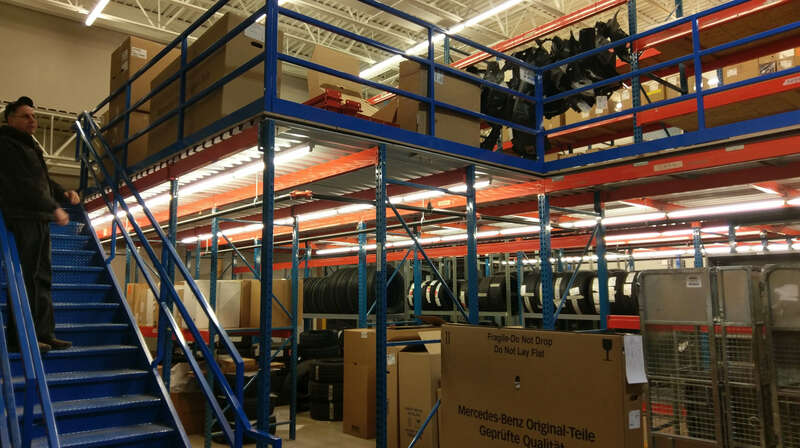 The original building had low head room that did not allow for lifting the delivery vans for servicing from below. 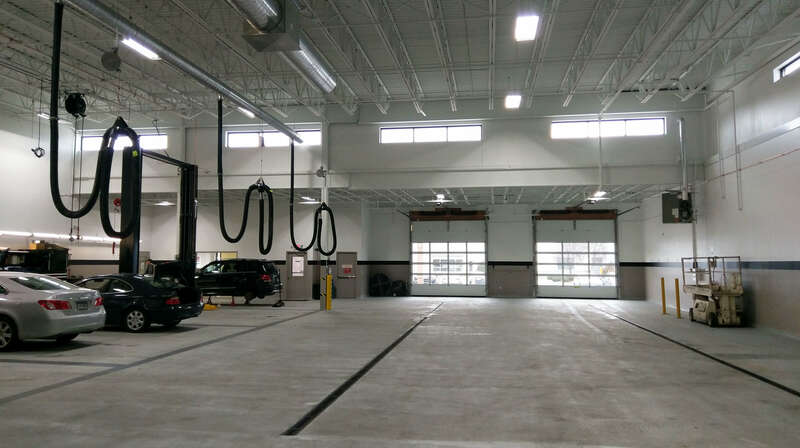 The design team developed a strategy to raise the roof by more than 8 feet to allow for the use of vehicle lifts while at the same time developing new daylighting for the space. 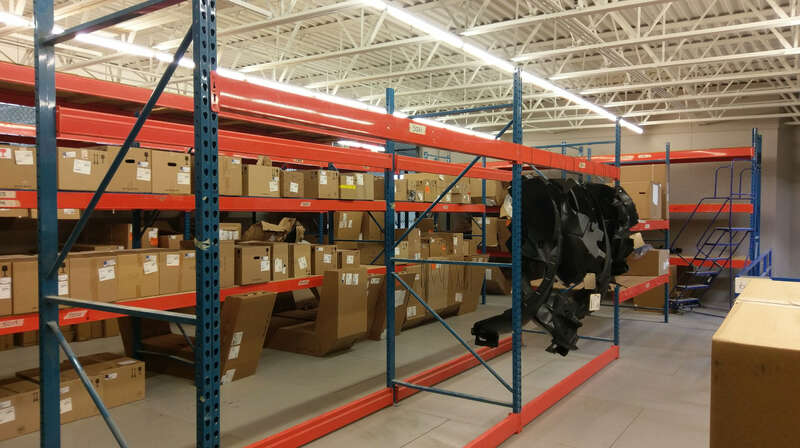 The design team and the design-build mechanical and electrical contractors collaborated to provide a bright and clean service shop with new office and guest spaces and parts inventory areas arranged for good flow and access.